For two days only, Target is offering 15% off store wide both online and in store (there are some exclusions). A promo like this is rare for Target, so I took a few minutes to match it up with promos from the weekly ad! Full disclosure, we will not know how this promo stacks up until it goes live at Midnight PST. Here are some of the best deals with the Target 15% off Promo that I found! Many popular brands that are often excluded from promos are not excluded from this promo. This means that this is likely a great time to buy Apple products and the Xbox or PS4 that you have been eyeing! 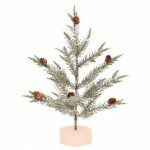 There is a 15% off STEM promo. 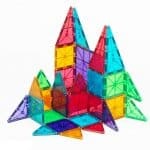 The promo includes two sets of Magna-Tiles. The 74 piece Clear Colors set should be the first set that stacks. 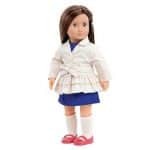 Regular price is $99.99, 15% off Specialty Toys brings it down to $84.99, 15% off storewide makes it $72.24, and RedCard will bring it down to $68.63! The 50 piece DX set is currently priced at $74.99. 15% off Specialty Toys brings it down to $63.74, 15% off storewide makes it $54.18, and RedCard will bring it down to $51.47. Keep in mind that the DX set is a specialty set, so typically carries a higher per piece cost. Our Generation: Starting Sunday, Our Generation items will be carrying a 10% off on 1 item, 15% off on 2 items and 20% off on 3 items promo. Combined with the 15% off store wide, you can save 32% when you purchase 3 or more items. There are several items that are currently on sale that could add additional savings if those prices hold. Click here to shop Our Generation! 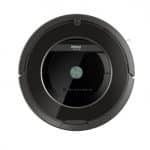 : Target has the Roomba 88o in the weekly ad for $499.99. Amazon sold out of this model when it dropped down to $479.99 for Black Friday! The 15% off store wide promo brings the price at Target down to $424.15. RedCard makes the final price $402.94! The Roomba 650 is currently priced at $274. If this price holds, the promo would drop it down to $232.90, which is unheard of for this model! : Retail $449. Current sale price is $199. The extra 15% off brings it down to $169.15! RedCard brings it down to $160.69. 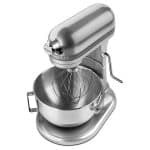 This is an AMAZING deal on this mixer, cheaper than even some of the lowest prices on the Artisan line. : If you missed the big $50 off $100 promo, there are two smaller promos this week. You will be able to save $10 off a $50 Wondershop purchase or $25 off $100 Wondershop purchase. Combined with the 15% off promo, you can save up to 36%! Previous Post Deal Alert! Our Generation Promo Starts Tomorrow! Next Post Expired: Tea Collection Cyber Monday: 30% off + Free Shipping!